that you deserve every day. We offer eyelash extensions,permanent makeup(powder brows,eyeliner,lips, microblading),brow & lash tint, brow shaping&waxing, facials, microdermabrasion, chemical peels.Gift certificates are available as well. 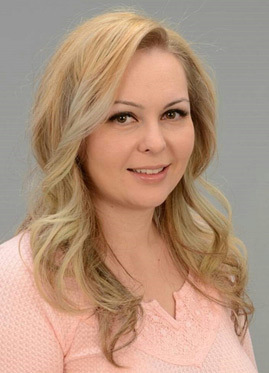 Olesya is founder of "Infinity Lash & Permanent Makeup" and is a licensed and very experienced esthetician with advanced certification in classic and volume eyelash extensions by industry leader of eyelash education and highest quality eyelash extensions products "Lavish Lashes" and permanent makeup and microblading artist. She graduated from "United College of Health and Beauty" in Llittleton. Olesya started "Infinity Lash" because she is very passionate about the beauty industry. She loves to make women of all ages to feel and look beautiful and special everyday! She offers eyelash extensions, permanent makeup,microblading,brow & lash tint, facials, microdermabrasion and chemical peel services. 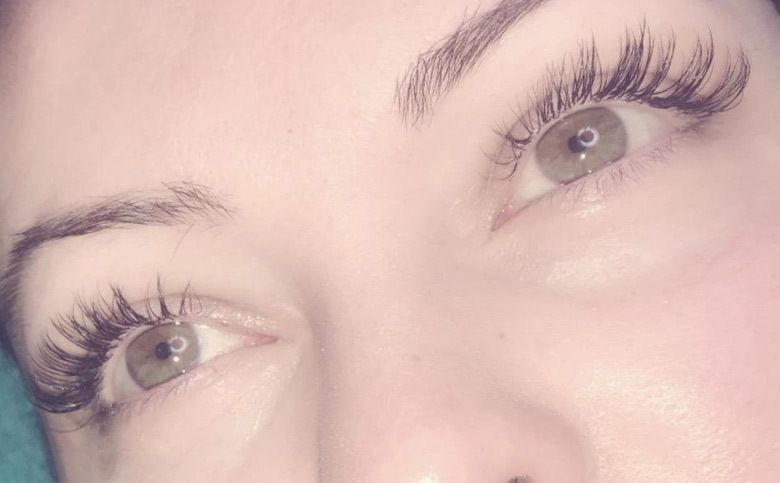 Olesya's vision and talent for symmetry and beauty allows her to create very natural high definition eyelash extensions that enhance the eyes, giving you a youthful appearance and lasts 3-4 weeks between fills!! 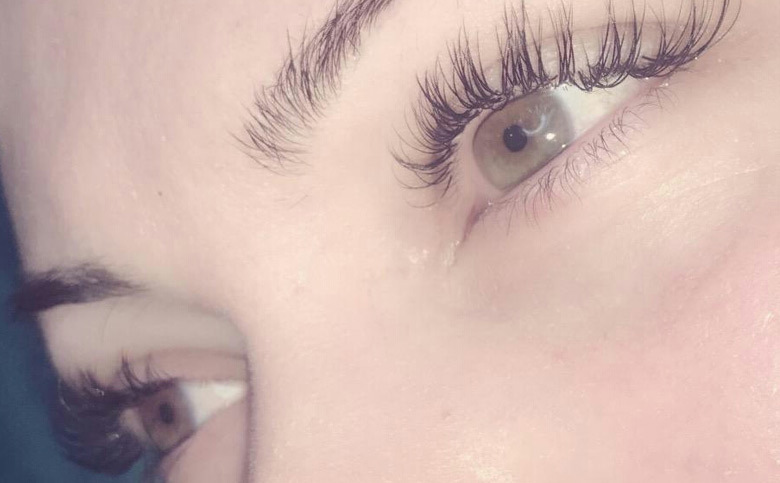 "I was so amazed by quality of my eyelash extensions and professional service at "infitity Lash", that I recommended them to all my friends and family! My lashes are so soft and weightless that I forget I even have them on at all! I get compliments on my lashes every time I go anywhere! I been doing my lash extensions and brow tinting for few month now at this lash boutique an getting great service every time. They truly care about my needs and want and making sure I get the best relaxing service possible. 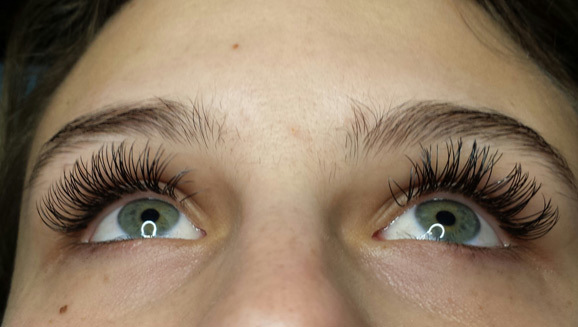 "—Sara K.
Customized eyelash extensions taylored to achieve the look you desire! Our very popular stunning set of lashes to enhance your natural beauty (50-65% of your natural lashes will be covered), 1.5 - 2 hours. Our most popular signature lavish set to frame your beautiful windows of the soul (70-85% of your natural lashes will be covered), 2 - 2.5 hours. Our fullest, head turning set available for special occasions and everyday lash Diva's (90-95% of your natural lashes will be covered), 2.5 – 3 hours. • If its been more than 4 weeks since the last fill/touch up,client will be getting charged for a new set. We use most trusted and tested in the beauty industry brand for our skincare – *MURAD* to achieve the best results possible for all skin types while you are indulging your facial treatment. this is our most requested luxurious facial includes cleansing, exfoliation, facial massage, treatment masque for specific skin concern, scalp, neck, shoulder and arm massage, arm or foot sugar scrub, moisturizer with SPF protection and hydrating lip treatment. This treatment uses a minimally abrasive instrument to gently sand your skin, removing the thicker uneven outer layer and helps to treat light scarring, discoloration, sun damage, stretch marks, improve age spots and remove black heads. There is $5 transaction fee for all credit cards and checks charges for more than $10.For no show clients there is $35 fee for the next appointment(please let me know ahead of time if you need to reschedule or cancel your appointment). 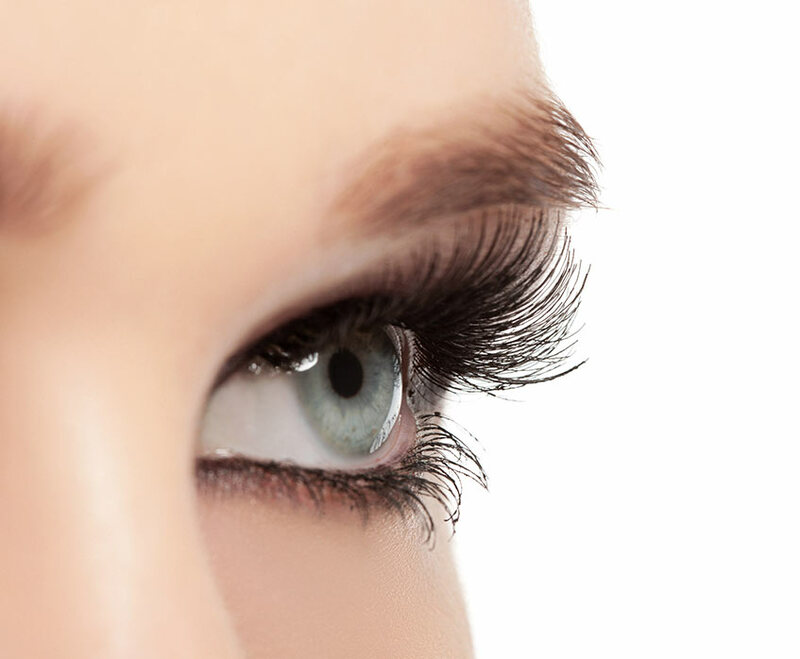 Eyelash extensions are single synthetic eyelashes curved to look like a natural eyelash. They are applied to each natural lash one by one for a natural, beautiful and luscious look. 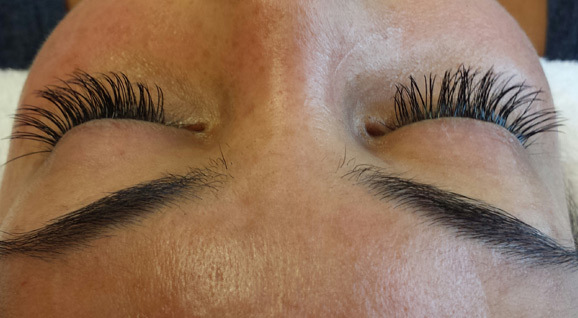 Eyelash extensions are perfect for special occasions or everyday wear. And you will not need mascara anymore! 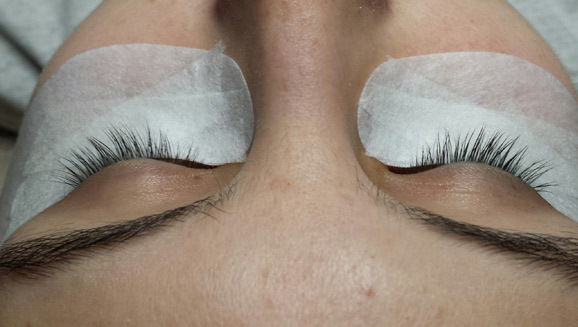 How will eyelash extensions look like when applied? When they are applied properly, your new Infinity Lashes will look and feel completely natural and real. Everyone will assume you were born with beautiful, thick and long lashes! They will last the length of the natural growth cycle of your natural lashes.Also it will be different for everyone depending on day to day activities,but the average length between fill ins are 2-3 weeks,in some cases up to 4 weeks, if you taking good care of your eyelash extensions. How often fill ins are needed? Fill ins are needed to fill in any lashes that have been fallen out. Natural lashes fall out every 30-60 days and are replaced with new lash growth. It is recommended to get fill in every 2-3 weeks, if you wait too long, most of your eyelash extensions will fall out and you will need a new set of extensions. Exposure to steam and touching your eyes alot can cause extensions to fall out sooner as well. How long will it take to apply eyelash Extensions and how its done? It will take anywhere from 1 hour to 2 hours, depending on the set of eyelashes you choose. You will lay comfortably on the aesthetic bed with your eyes closed. 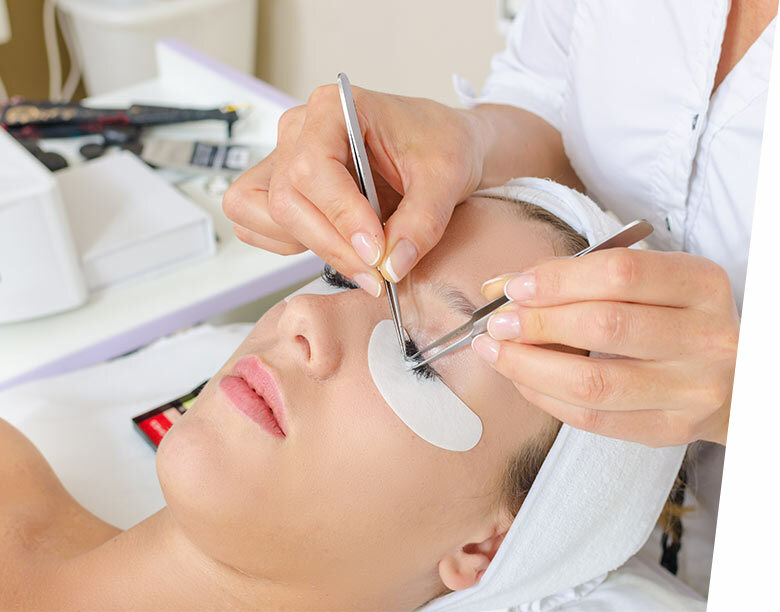 Then we will apply under your eyes, gel pads containing collagen to cover your lower lashes to protect them from sticking to the upper lashes. And while you are getting your new eyelashes, applied to each eyelash one by one, the gel pads will reduce fine lines and wrinkles around your eyes while you are relaxing! The application process is pain-free and relaxing and most clients fall asleep during the procedure. Is swimming, showering , exercising, and spa visits while wearing eyelash extensions ok? The glue we use is waterproof and and allows you to shower, swim, exercise and so on. But it is highly recommended that you do not expose your eyelash extensions to direct water (shower, swimming, steam) in first 24-72hours if possible. 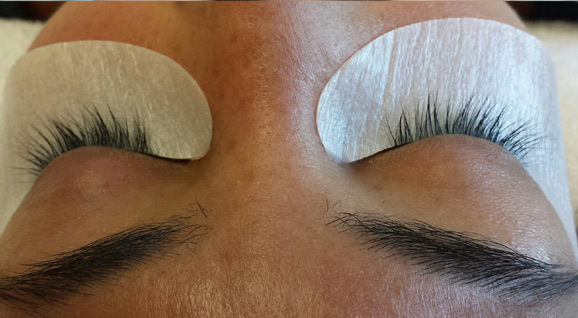 How to take care of your new eyelash extensions? • Avoid hot steam,sauna and running water directly on your lashes. • If applying mascara (water based only), do so from middle to tip,avoid root area. • Do not perm or curl your eyelashes. • Do not pull on your natural lashes. Littleton, Lakewood, Arvada, Denver, Centennial, Aurora, Thornton, Westminster, Golden, Morrison, Lone Tree, Parker and the Denver Metro Area.